Abstract: Often it is said that no one is better at pomp and pageantry than the British monarchy, and indeed, this has been the case at least since the time when medieval kings ruled England. One monarch in particular stands out as having successfully utilized royal ritual and ceremonial to great political, military and personal gain. Edward I is widely considered one of England’s most dynamic, respected and successful monarchs. Called a “precedent seeker,” the king’s reign was “. . . one of the most pivotal in the whole of British history, a moment when the destinies of England, Wales, Scotland and Ireland were decided.” Edward summoned the biggest armies and convened the largest parliaments seen in England during the entire span of the Middle Ages. He constructed the greatest, most imposing chain of castle fortifications in all of Europe, expelled the Jews from the British Isles in the stroke of a pen, decisively conquered the Welsh and very nearly overcame the Scots. And unlike his father, Edward fulfilled his crusading vow and set out on campaign with the saintly Louis IX of France. A life-long adherent of the cult of King Arthur, Edward was heavily influenced by the mythical king’s chivalric legend. A student of history and an intuitive leader, Edward understood the significance of pageantry, of tradition, of symbolism, of ritual and of spectacle. On many occasions throughout his thirty-six-year reign he creatively utilized all of the considerable trappings of kingship at his disposal to emphasize the power of the monarchy, to achieve political gains, and to undergird religious principles. It was a keen skill he inherited from his father, Henry III, who had become proficient at pageantry as a means of diverting attention from the abundant political failures of his long reign. The wise son learned from his father’s missteps and fashioned a style of rule that combined military and political success with rich celebration and solemn ceremonial. Indeed, some of the traditions either initiated or improved upon by Edward I are still in practice over 700 years later. This ambitious transitional monarch possessed a very clear vision of the England he wished to shape and had an instinct for which measures would appeal to nobles and commoners alike in order to win their cooperation and compliance. For the most part, medieval subjects followed the king because there was a basic societal need for leadership. 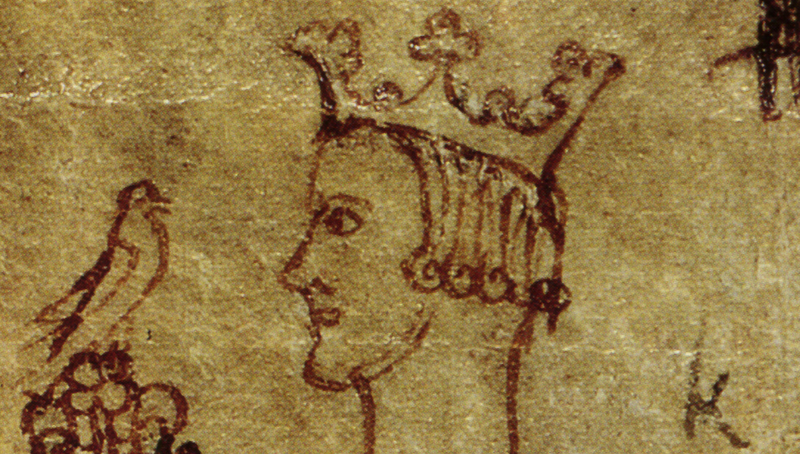 This relationship was a somewhat tangled web, which Edward I innately understood, and as such, he successfully exploited royal spectacle of all sorts – pageantry, ritual, and symbolism, ceremonial – to display power in foreign relations, suppress rebellion, contain his nobility and demonstrate his piety. The following paper will explore occasions of ceremony and ritual linked to King Edward I as an arbiter of royal power, as well as consider the means by which he utilized the influence of his position and the majesty of the monarchy to affirm and reinforce his extensive authority.